Description: WipeDown is a superior dry cleaning wipe. Dry wipes can be used alone or with alcohol or solvents. Provides superior cleaning of fiber optic connector ferrules without risk of scratching or lint residue. F1-6702 (100/pack) & Kim Wipes (280/box). Size : 12" x 12" , 16" X 16", 16" X 24"
Brimming with gamut of relevant products, we are indulged in providing Kitchen Dry Wipes with wide options. They are available at fair market price. Dry wipes/tissues made from superior quality spunlace fabric for optimal absorption. For use in beauty spas/salons as well as suitable for personal use. It is a dry wipe made of super soft micro fab material and is also alcohol free to care for your baby's sensitive skin. Our Wipes are excellent for the use by the whole family also anytime and anywhere and can be sure of a quality product. Available in 25’s and 50’s pack. 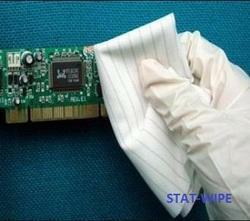 Body wipes are manufactured in spunlace fabric which are available in various viscocity with 60% cotton to 100 % cotton. They are vary absorbent and soft and are available in various sizes starting form 12 X 12 inches to 26 x 50 Inches. We are successfully meeting the requirements of our clients by manufacturing the best quality range of Dry Wipes. Huggiesn New Born, Dry Pants, Wipes etc.